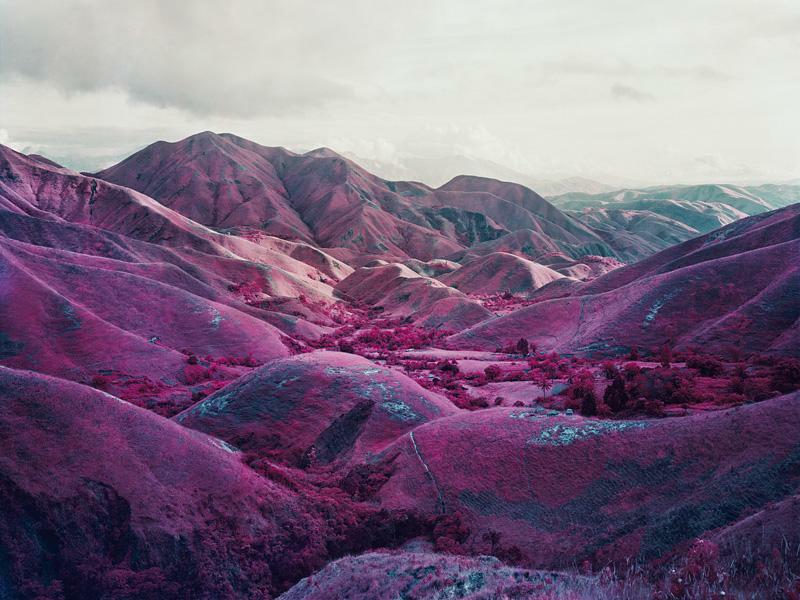 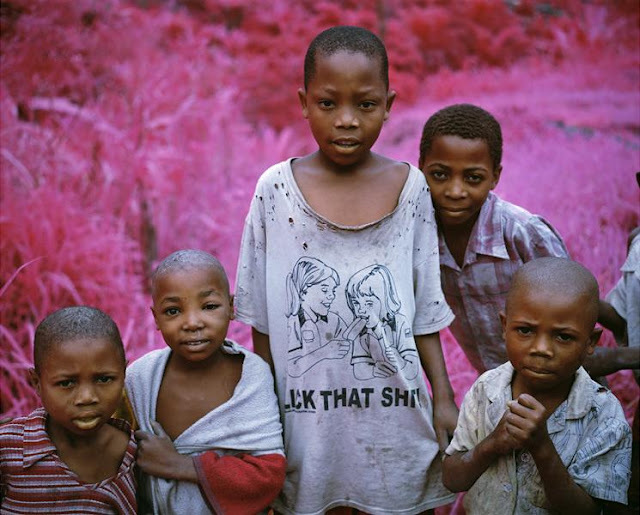 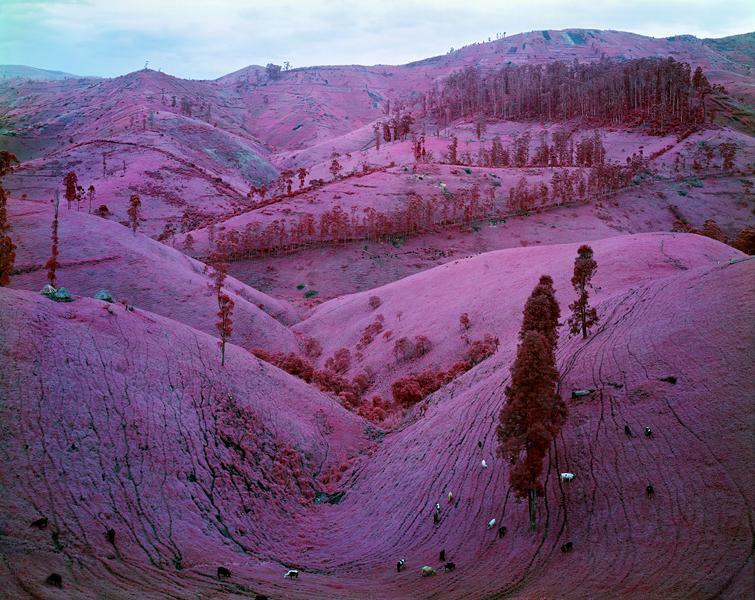 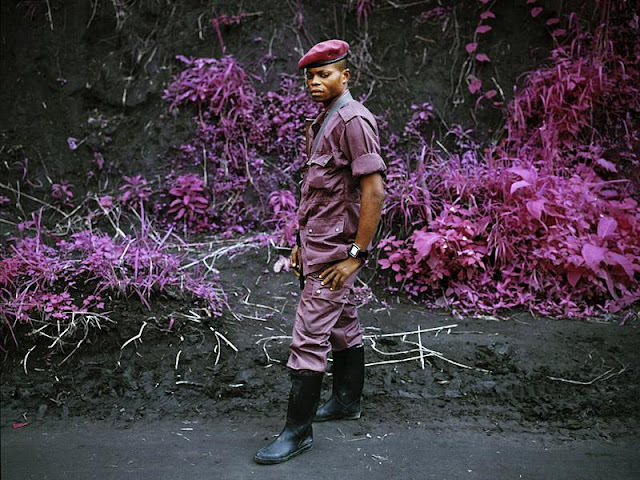 Throughout 2012, Richard Mosse and his collaborators Trevor Tweeten and Ben Frost travelled to Eastern Congo and inserted themselves as journalists within armed rebel groupsin a war zone plagued by frequent ambushes, massacres and systematic sexual violence. 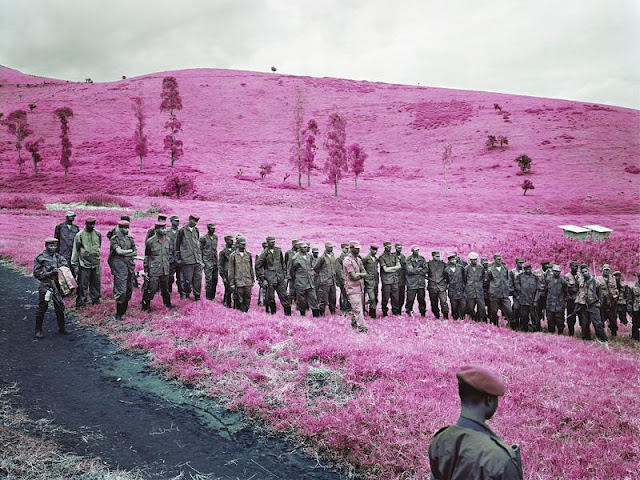 The resulting installation, The Enclave, is the culmination of Mosse’s project, Infra, which employs a discontinued military reconnaissance film that registers infrared light – an invisible spectrum – and was originally designed for camouflage detection. 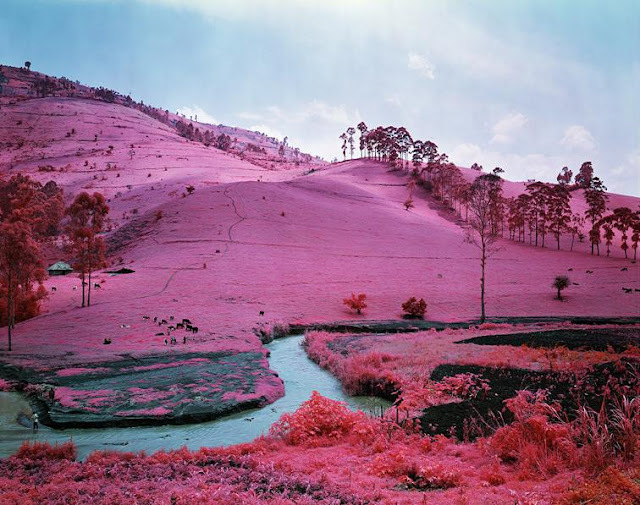 Mosse uses this film to reveal a cancerous yet unseen humanitarian tragedy with a disturbing psychedelic palette, posing aesthetic questions in a situation of profound human suffering.